A St. Cloud mosque was vandalized by a Muslim member and not an “Islamophobe” over the weekend. Abdourahamane Diallo was drunk and upset he lost his phone earlier in the night so he took it out on the mosque. A St. Cloud man was arrested early Thursday after a report of vandalism at the Islamic Center of St. Cloud, in the 300 block of Fifth Avenue South. Abdourahamane Diallo, 29, told officers he had vandalized the Islamic Center and a vehicle because he was frustrated and had lost an expensive phone earlier in the evening, according to a report from the St. Cloud Police Department. Police were called to the site shortly before 5 a.m. 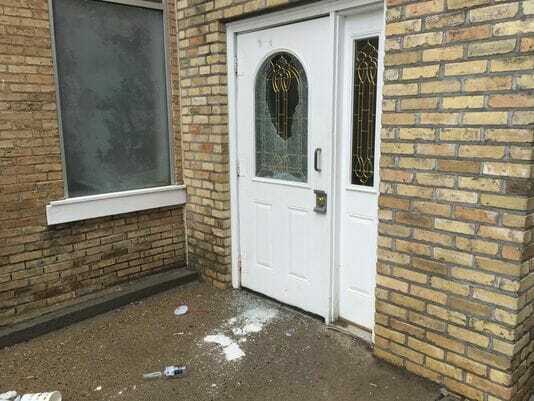 They learned that the window in a door and a window in a nearby vehicle had been broken while several people were attending prayer inside the center. Witnesses chased Diallo from the building to the end of the block and were walking him back to the scene when police arrived, the report said. Witnesses said Diallo broke the windows after spraying the side of the church with beer, according to the report. No one was injured during the incident. Diallo appeared to be intoxicated at the time of the incident, police said. Diallo told officers he regularly attended prayer at the Islamic Center in the past.